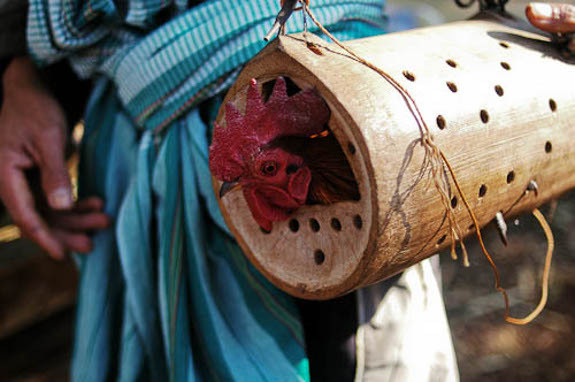 A sharp knife and some bamboo is all it takes to make the above chicken carrier. The picture is from AustinBushPhotography.com. He took this a few years ago in Northern Thailand where they take a rooster and tie him to a tree in the forest and then try to encourage crowing. This attracts wild chickens which make a tasty meal.